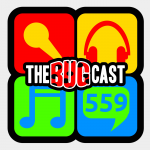 This week on The Bugcast: Julian Assange is arrested, a podcasting award we weren’t aware of, the apparent misuse of English words, and some great Creative Commons music! BBC News: Julian Assange: Why is the Wikileaks co-founder a wanted man? British Podcast Awards – Listeners’ Choice Awards – please vote for us! The next live show will be episode 560 which will be streamed live in the chatroom on Friday 19 April 2019 at 21:30-ish UK time (BST/GDT/UTC+1). Please vote for us in the British Podcast Awards – Listeners’ Choice Awards!